A list of asset specifications, for example, its size, colour, brand, model number or any other attribute which your company uses to define a type of asset. STEP 1 Go to the Settings page. 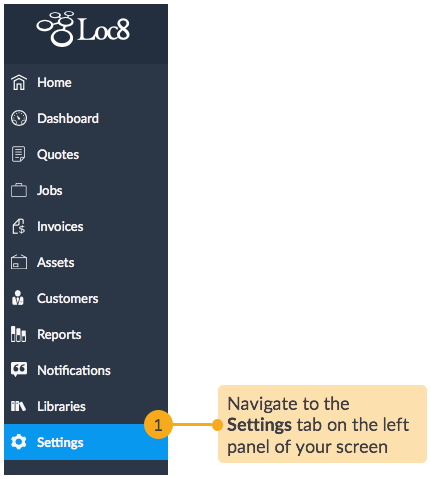 STEP 2 Open the Asset Data Groups manager. 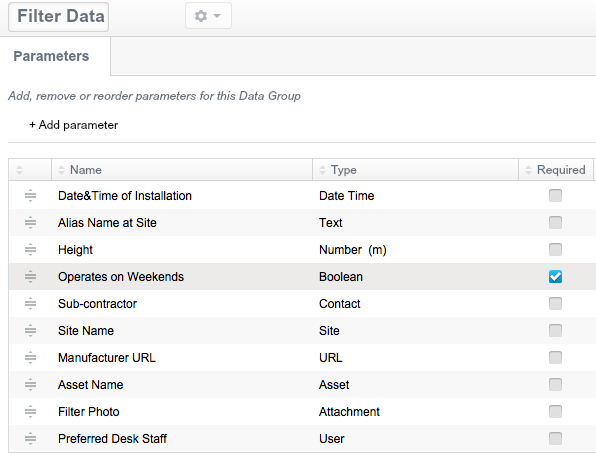 STEP 3 Create a new data group to hold the custom parameters. 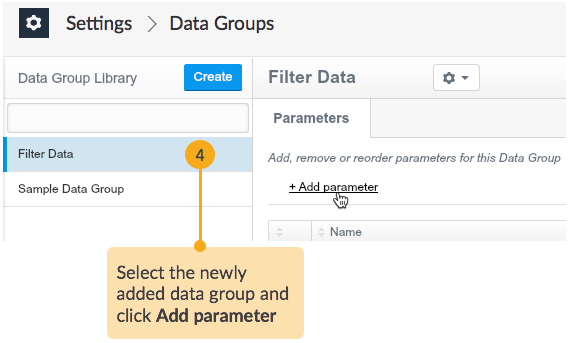 STEP 4 Add new parameters under the data group. 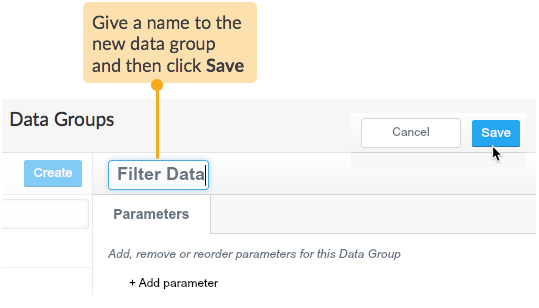 STEP 5 In the next page, enter an easy-to-read label for the new parameter and select the type of data it would represent. In the example below, we would like to record if the asset is ON during weekends; the result could be either Yes/No or True/False, so we've selected Type as BOOLEAN. STEP 6 Enable some or all of the parameters as Required. Once a parameter is set as Required, it will be displayed as a mandatory field on asset creation wizard, in which you can fill in the actual value. This has been discussed in Create Asset. 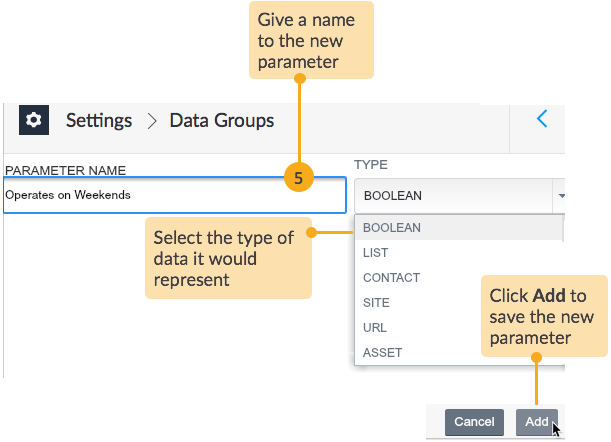 After you've created data groups and parameters, you can associate them to appropriate asset types created in Loc8. To learn how to create new asset types, please read Create Asset Type. Next, to make an association between asset types and the data groups you've created as per this article, please read Add Asset Data Group to Asset Type.